The blues has always been spiced with suggestive metaphors. 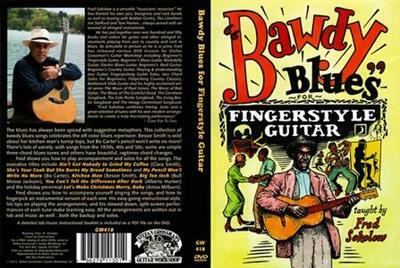 This collection of bawdy blues songs celebrates the off-color blues repertoire. Fred shows you how to accompany yourself singing the songs, and how to fingerpick an instrumental version of each one. His easy-going instructional style, his tips on playing the arrangements, and his slowed-down, split-screen performances of each tune make learning easy. All the arrangements are written out in tab and music as well.